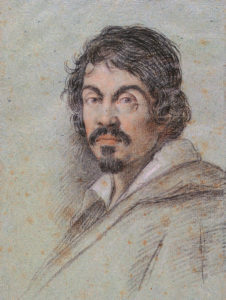 A new institute in Rome, the Caravaggio Research Institute, will dedicate itself to becoming the sole authority on everything related to the artist, who lived from 1571 to 1610. Founded as a result of a partnership between fashion brand Fendi and the Borghese Gallery, the institute will be a center of research and education to identify genuine works by the Italian master of the chiaroscuro technique. It is scheduled to open in three years, after a worldwide tour of Caravaggio exhibitions. The unlikely partnership was formed when Italian Minister of Culture Dario Franceschini challenged Fendi President Pietro Beccari to adopt a museum. Fendi pledged 1.3 million euros to support the project, including the development of a comprehensive online database on Caravaggio, where the Caravaggio Research Institute will publish its research findings. Techniques that the center will use to compare authentic Caravaggio pieces with fakes include infrared photography, stereomicroscope examinations and UVA analysis. “Since the great specialists of Caravaggio are no longer here, anyone can decide to attribute a piece to the artist,” Anna Coliva, the director of the Borghese Gallery in Rome, said at a press conference in the city in September. His paintings are so sought-after that disputes surrounding their authenticity are common. The most recent subject of this debate is a painting found in 2014 in an attic near Toulouse, France, while the home’s owner was investigating a leak in the wall. The painting’s value was estimated at 120 million euros, but experts, including Coliva, can’t agree whether it is genuine or a copy. The Caravaggio Research Institute is launching a three-year-long, worldwide tour of the painter’s works to raise awareness of the group’s mission and research. The Getty Museum in Los Angeles will be the first institution to host three famous paintings on loan from the Borghese Gallery – Boy with a Basket of Fruit (1593-94), Saint Jerome (1605), and David with the Head of Goliath (1610) – beginning Nov. 21. The tour will then move to East Asia. Another exhibit on Caravaggio, called Inside Caravaggio, will open at the Palazzo Reale in Milan at the end of this month. The center’s permanent headquarters will be located in Rome near the Borghese Gallery.